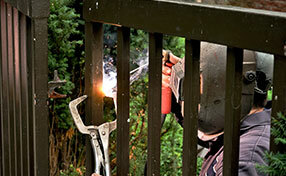 Read a compilation of practical tips for your most common gate problems on this page. Time to learn how to repair saggy gates, how to fix and repaint them! Details make the difference! In order to extend the life of your gate, professionals at Gate Repair Venice suggest focusing on conventional techniques in detailing as part of the maintenance strategy. Detailing is a good strategy for protection. 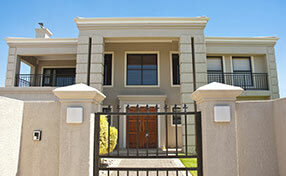 Detailing should be focused on both the gates and railings, in order to ensure a longer serving gate at home. This can also save you some money in the long run. The paint in your gates is part of the overall protection system. If you notice the paint flaking or peeling off, it is vital to repaint them to make them look new. If the paint seems fine but rusts are visible, repainting should also be done to prevent the spreading further of dust. Make sure to sand down any loose paint before repainting your gate at home. Gates tend to make a creaking noise over the years after constant use and this is due to worn out hinges. Extreme climates cause the hinges to wear out prematurely. The best method, as stated by Gate repair Venice professionals, is to disassemble the hinges and lubricate the inside as well. Rusty or bent hinges need to be replaced immediately. Gates can be heavy to handle and tend to sag over time and this can be avoided if they are set deep in concrete and are sturdy. This problem can also be resolved by inserting a small wheel underneath the gate that sags or the moving panel. This way the weight is supported by the wheels and there is less of a burden on the sagging gate. As there is no extra pressure it helps in easy opening and closing of the gate. 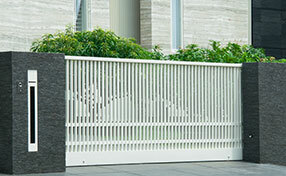 Our representatives can show you ample choices that may fit into the personal gate design you have in mind. However, if you can’t decide, our professionals can help you in finding the perfect design to suit your need and budget. If you are unsure with what to do to repair your gate motor, it is advisable to call for the professional assistance of your gate contractor. Our gate repair experts in Venice assert that it is always better to be sure with the professional repair results than to be sorry with your own attempts that may end up failing. They need cleaning at least twice a year. Wipe the plastic casing clean with a bit of alcohol using a soft cloth. Clean the battery compartment in the same way too. If there is rust on the battery contacts, you can remove it with lemon juice or white vinegar. In case the problem persists, you will have to replace the remote. Dirt around the buttons can be easily removed with a toothpick or orange sticks.